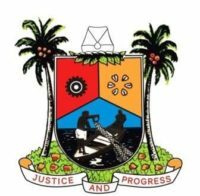 The Lagos State Emergency Management Agency has advised Lagosians to celebrate the festive period with caution to avoid unnecessary loss of lives and property. Speaking in his Office today at theSecretariat, Alausa, the General Manager, Mr. Tiamiyu Adesina urged Lagosians to stay safe incelebrating the yuletide byavoiding excessive drinking and reckless driving on the highways. While noting that the Lagos State Police Command in December2014, outlawed the use of Fireworks because of the potential hazards associated with the use of these devices to people and the environment, he advised parents todiscourage their wards from using them. The General Manager also hinted that the LASEMA Response Unit has deployed personnel and heavy duty trucks such as the Super Metro to be stationed at Anthony, to cover Ikorodu Axis and another one at Aja to cover Lekki-EpeExpressway and other areas in the State in order to remove broken down vehicles causing impediment on the roads. The General Manager also appealed to Religious bodies, Club owners and Event Centres to work with the State Government and Security Agencies to monitor the activities around them and report suspicious and unusual activities during such gathering that may compromise security of lives and property. He maintained that Lagos State Emergency Management Agency (LASEMA), Lagos State Fire Service, Lagos State Safety Commission, Lagos State Ambulance Service (LASAMBUS), Lagos State Traffic Management Authority (LASTMA), Nigerian Police Force, Rapid Response Squad (RRS), Nigeria Security and Civil Defense Corps (NSCDC), Federal Road Safety Corps (FRSC) and all the other agencies that are relevant in the management of emergencies in the State have been put on red alert to secure and protect the lives and property of the people living and embarking on business activities in the State. While wishing all Lagosians a happy celebration, the General Manager assured that the State Emergency Call Centre 767/112 is open 24hours to any distress call from all the nooks and crannies of the State.